First, I want to thank you for taking so much time on Saturday morning to meet with us at the Trenton school. It is clear to me that you are working exceptionally hard on many fronts, so it must not have been easy to commit so much of your time in that way. Second, I want to also thank you for being a good sport in response to Judy's and my pointed challenges to your position on charter schools. Third, I want to reiterate my stipulation that I do not doubt your sincere interest in trying to make our schools better places for all of our students. However, I continue to be extremely troubled by the unwillingness or inability of advocates of charter schools to hold themselves accountable for answering the most basic questions about their sweeping proposals: Who? What? When? Where? Why? How? And, now, given what has predicated the "Ought to Pass" motion on Friday, your Committee has also failed to provide sufficient answers. Who will start charters? We are now being told almost no one will because it will be really hard to jump through all the hoops. I rather doubt so many people, including the Governor and Commissioner of Education, would be pouring so much time and political capital into an effort they plan to let languish. Where are the first rate Maine educators who will start and staff schools? What will be the role of outside, corporate interests? Why can't Goodwill-Hinckley be a magnet school, for which we already have a model? Of course there are the many unaddressed legitimate questions and concerns about the time frame within which this bill is being moved throughout your committee. The public could not see this bill until very late in the session, shortly before it was subject to a public hearing. Then, major revisions were presented at the public hearing, obviating the ability of anyone to comment on the import and impact of the revisions. These revisions are still, to our knowledge, not available on line. Other than the co-sponsors on the Education Committee, there was no one on the Committee present to hear the public comment. Then, at the work session on 20 May, the Commissioner presented another major revision in printed and conceptual form only. Nonetheless, you brought the Committee to a vote on this partially unwritten bill. As for the “when” of charters, you say that no charter is going to start for a “long time”, specifically September 2012. But the fact is that the fall of 2012 is an extremely short time away for communities and administrators who need to run schools and provide stable financing, budgeting and curricula for our communities' students. We will start work on our 2012 budgets in the fall of 2011, a few months away. Not here in the MDI area you predict, but there is absolutely nothing written into the law that would suggest that is a reliable promise. I, for one, can very easily imagine a group of parents wanting to start an alternative primary school charter. It's been done here before in recent past. It did affect the census in our schools, however it was privately funded. It is parents' right to band together to try to provide alternative institutions for their children. It is NOT their right to reach into taxpayer's pockets without the taxpayer's consent to do so. 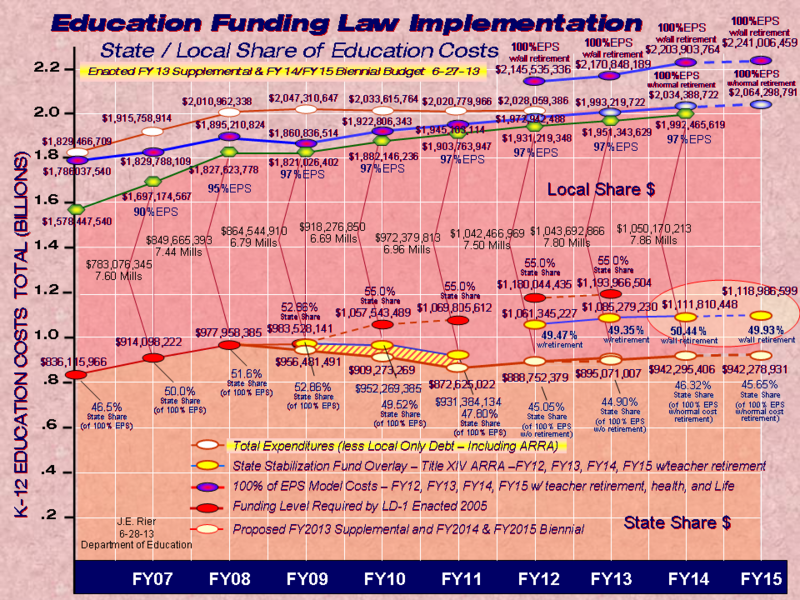 And it is not within the means of even my town to finance multiple educational institutions for our children. And yet, that is exactly what your bill will allow. It is most disturbing that this question is not being clearly answered. While not discussed in the open, we have been told bluntly by high profile, strident advocates for charters that charters will provide an end-run around teachers unions. I want to be clear in response to that. We have a strong working relationship with our teacher’s association. Our educational endeavors are significantly benefited by this collaboration. Without a mature, mutually respectful relationship between educators, administrators and boards, schools will not successfully fulfill their obligations to their students. The association is an important part of our efforts in this regard. However, we do not and would not ever cede educational policy to negotiations. It is a cop-out to blame teacher's associations for problems in our schools. This attack on teacher's unions seems to me indistinguishable from the larger, politically motivated attack on unions in general. We are told that charter advocates want to help kids who fall through the cracks. Of course they do. We all do. To that end our schools are constantly innovating. Just this year we have embarked on a re-vamp of our high school senior exhibition system, our student advisor system, and our system for intervening early with Freshmen and Sophomores who are struggling-and that's on top of Compass Rose, the alternative program we already operate. At the elementary school level our teachers are reinvigorating our writing curriculum and they are working on becoming math specialists in the same way that they have become literacy experts over the past decade. And everywhere our teachers and administrators are working overtime to unpack and implement common core standards. Is there something different or more that you propose we do that we have demonstrated we cannot or will not do? You and others have sometimes dismissed MDI schools as a "special" case, perhaps exemplary but not representative of Maine's schools, and whose experience and opinions therefore are not relevant in regards to the difficulties that Maine faces for school improvement. But, since the model the Commissioner proposes is for Maine to learn from special practices that have proven locally successful, rather than building new institutions that will undermine our ability to do this work, perhaps the Legislature should charge the DOE with digging into the more difficult and less glamorous work of advancing all Maine's schools along the same continuum. We are told that schools are too bureaucratic and not flexible enough. There is one and only one reason for this. Schools must respond to the requirements placed upon them by larger governmental entities: state and federal governments. It is blaming the victim to attack schools for being too rigid, and it is unnecessary and unfair to create a parallel system with fewer constraints in response. It is not a sufficient reply to create individual "innovative" schools. That will only create a few more pockets of flexibility, leaving the majority of Maine students stuck in the same allegedly bureaucratically hamstrung environments. It will exacerbate inequality rather than ameliorate it. Further, I never hear charter proponents articulate specifically what bureaucracy and what inflexibilities in the current system are the problem. It is sloppy analysis to cite, like a mantra, some nebulous big bureaucracy as a problem that must be avoided by charters, undercutting public schools in the process. I strongly suspect that rhetoric has been imported from large metropolises in which people are dealing with bureaucracies that in no way resemble the size and scope of our state's school systems. In short, it truly is an urban myth. And we must acknowledge that in fact, many of the rules and many of the procedures built over the years are designed with the intention of requiring improved, equal, comprehensive educational opportunities for all our children. Further, don’t you believe the anticipated provisions of LD 1422 will be the genesis of a significantly sized set of bureaucratic imperatives? I am taken aback by your willingness to provide relative carte blanche to as-of-yet unknown entities to create new schools, free of substantial citizen or professional oversight, free to pick taxpayer pockets, and free to recruit our students to experiment on. It is a given that a reasonable percentage of these charters will inevitably fail. Why else would you and Mr. Bowen frequently refer to the fact that charter schools will have to compete for students and that if they don't succeed parents will "vote with their feet"? What will have happened to make them shuffle off? It's that their children were badly educated. Absolutely implicit in a market approach is the freedom to fail. And, from across the country we search in vain for reliable data to show that charters are, in the aggregate, making a substantially positive difference. We can all point to anecdotes. But we should not be basing major policy decisions on them. 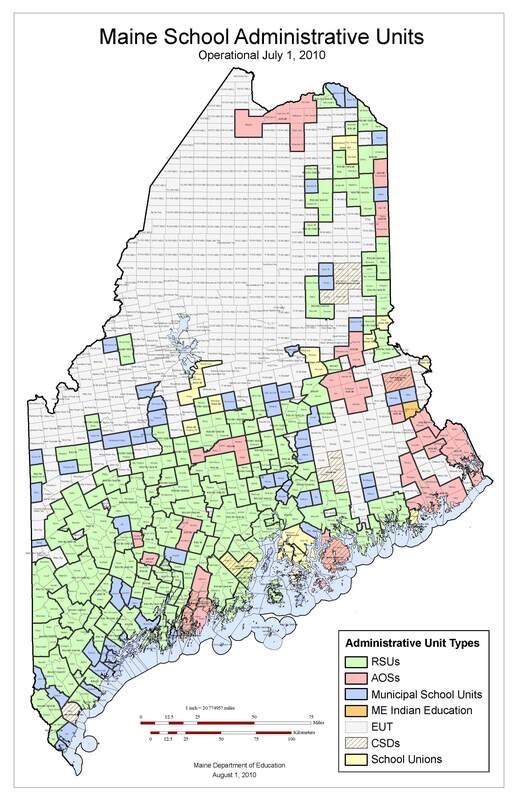 We frequently hear the lament that Maine is one of only ten states (most of them rural, like Maine) that have not authorized charters. May I suggest that sometimes it's a liability, but there is also a very good reason for Maine to lag way behind all kinds of fads that sweep most of the rest of the country: It saves us a lot of grief when they crash and burn south of the state line. Well, part of the “How” is answered. You are creating a state authorizing board, three members of whom will be from the State Board of Education, whose work I told you rarely, if ever, trickles down to our level in a meaningful fashion. They have never demonstrated attention to the strengths and needs of individual schools and communities. I have served on our school board for over eight years, often in a leadership capacity. I have never heard from my brothers and sisters in Augusta. Those three members will, in turn, nominate four other individuals to serve with them. The Commissioner rejected the notion that the state organizations of professional educational administrators, MSSA, should ever be able to nominate a member because the Superintendents have publicly expressed skepticism of charters. So, apparently, we will have a board charged with creation and oversight of charters that is composed only of believers. Further, it is the state authorizing board that will somehow oversee the functioning of these charters, which will be locally administered by a privately selected entity, perhaps only nominally if they then contract with a company to operate their charter. In the case of the virtual charters, administration might well be by a board composed of corporate executives beholden to their shareholders. We will pay the state board for their oversight services since the state authorizing board can retain 3% of what we have to pay. When pressed for the reason for this state authorizing board, you tell me that it has been created to be able to take a big picture look at how charters should and do function in the state. That’s not how this bill is written. The state authorizing board’s mission is written to override the wishes of local communities that may not want a charter operating in their area. The promise of a “public hearing” on an application before this board is almost an insult. If what you want is a big picture board to study how charters could best function in Maine, you would not have approved it with anything like the sweeping powers it will potentially wield over our education systems and our pocketbooks. How do you successfully finance these parallel schools? We are now told no one will want to start one because EPS won't be sufficient. Then, pray tell, what is the point of this attempted major usurpation of authority and money from local communities? This is yet another example of the dizzying circular arguments charter proponents are making. And how will we continue to fully fund our schools after charter operators have taken their share? Again, there is no credible answer afforded to this rather obvious question. All we've been told is, don’t worry, there won’t be more than a few charter schools in the state. That is cold comfort in return for the potential of the usurpation of local resources for privately controlled educational experiments in our midst. Our schools need three things to thrive: a strong educational program, strong public support and adequate financing. This bill, not unlike far too many bills that have crossed your desk this term, as well as a great deal of rhetoric from the leadership of your Party, shorten two of the three legs of that stool. Without them, the third must also fall. Your Committee has voted to advocate swift passage of sweeping changes to the structure of education in Maine and proposes that we worry about the details later. If the dynamics of your work session were any predictor of the future, those DOE regulations and "fixes" will be written out of our sight with the right-hand assistance of strident believers in charter schools. Just as with the way this bill has been rolled out, the horse will be out of the barn before we even get into the yard. Senator Langley, this bill has not received due diligence. It has not been afforded any substantive tire kicking. The paint is shiny. The interior is detailed. But the hood latch is jammed and the warranty is vague. I ask you to re-consider your determination to plunk down OUR hard-earned, cold cash to purchase it.